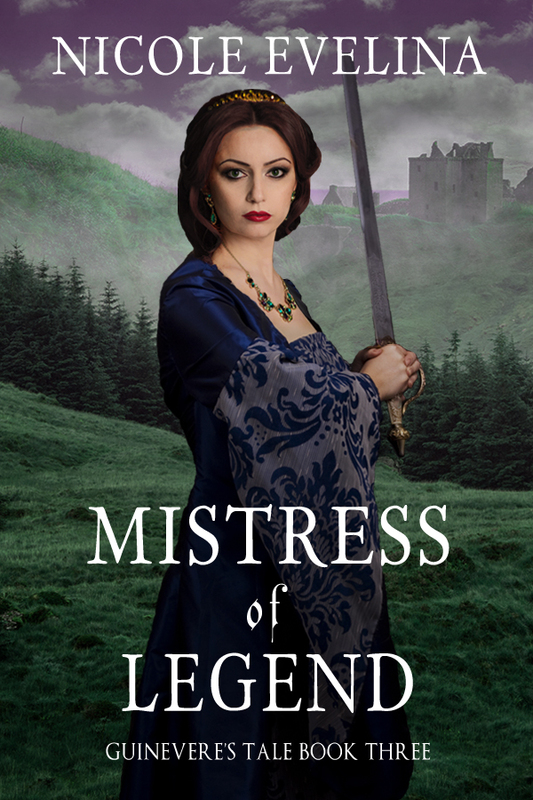 Nicole Evelina is the author of the non-fiction work on Guinevere, The Once and Future Queen, and also the Guinevere's Tale trilogy, which just completed with the release of Mistress of Legend, available now! We've talked a little bit in passing about Arthurian Legend here on the blog, and I thought it would be fun to get a peek at how Nicole approached the myths involved in writing her series! Enjoy! The story of Guinevere begins in myth, at least as far as we can tell with no historical evidence of her existence. She first appears in Welsh literature in a few poems, then in the epic The Mabinogion, a collection of Welsh tales first written down between 1100-1225 AD/CE, and in the Welsh Triads, group of related stories dating from 1235 AD/CE though likely first written down in the ninth century, that preserve early folklore, mythology, and oral history. Her kidnapping is likely taken from the Celtic myth of the Flower Bride, which is itself much like the story of Hades and Persephone. · She was Arthur’s wife. · She may have been barren. · She was kidnapped by Melwas/Malegant/Mordred. · She had an affair with Lancelot (either emotionally or physically depending on the story). · She may or may not have allied with/married Mordred after the fall of Camelot. · She ended her days in a convent. This gives us a rough outline of her life, but by no means puts flesh on her bones or gifts her with a personality. Because there is so little information about her, trying to tell her story becomes its own exercise in mythmaking. Every author who has touched The Matter of Britain has added to the story and will continue to do so as long as the story is told. For the religion of Avalon, I used my knowledge of Celtic Wicca as a basis, but made sure to emphasize multiple gods and goddesses, as would have been historically accurate for Celtic pagans. The gods and goddesses Guinevere specifically mentions, such as Rhiannon and Lugh, are historically tied to Wales (where she was born) or southern Scotland (where her mom was born). I invented a three-degree system of progression for the priestesses in training and also a system of divination for them, but used actual Celtic holidays as their festivals. When portraying the Christian religion, I relied upon Anglo-Saxon documents for guidance because while they are a few hundred years ahead of the time of my books, they are some of the earliest existing sources for Christianity in Britain. For the final book in this series, I also had to invent the culture of the Votadini because although they are historical, we don’t have any information about what their lives were like. I wanted to show a people who were very much still connected to the land and their ancestors, an intimacy that Roman occupation likely blunted or severed in areas to the south. Their magic is much more wild and violent than that practiced on Avalon because the Votadini are still a savage people. They are a tribe of war that recognizes and respects the need for death along with life, and reveres blood as the connection between past, present and future. They are a highly ritualistic people who are always mindful of their gods and their influence on daily life. To create them I drew upon portrayals of the ancient (pre-Roman) Celts and tried to find commonalities among shamanistic cultures throughout the world. I wanted the reader to really feel the difference between this culture and the one Guinevere was raised in, so they could understand her feelings of displacement and yet understand the connection to the land that sung in her veins. I’m honored to have contributed to the 1,500-year-old, ever-changing mythology of Guinevere and King Arthur. 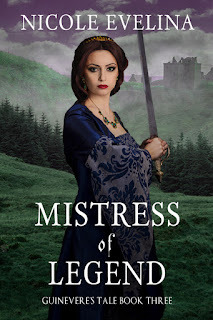 I hope that readers see in her a strong woman who is relatable today, but who well could have lived in Dark Ages Britain among the final vestiges of Celtic respect for women before patriarchy took over. Now that modern women are at last shaking off that yoke, it is time that Guinevere did the same. Nicole Evelina is a historical fiction, non-fiction, and women’s fiction author whose six books have won more than 30 awards, including three Book of the Year designations. Her fiction tells the stories of strong women from history and today, with a focus on biographical historical fiction, while her nonfiction focuses on women’s history, especially sharing the stories of unknown or little-known figures. Nicole’s writing has appeared in The Huffington Post, The Philadelphia Inquirer, The Independent Journal, Curve Magazine and numerous historical publications. She is one of only six authors who completed a week-long writing intensive taught by #1 New York Times bestselling author Deborah Harkness.